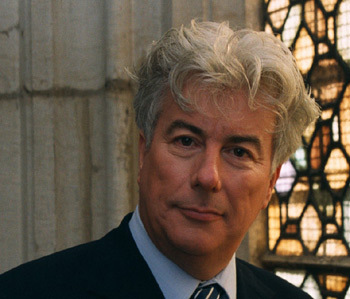 In 1989 Ken Follett astonished the literary world with The Pillars of the Earth, a sweeping epic novel set in twelfth-century England centered on the building of a cathedral and many of the hundreds of lives it affected. Critics were overwhelmed--"it will hold you, fascinate you, surround you" (Chicago Tribune)--and readers everywhere hoped for a sequel. 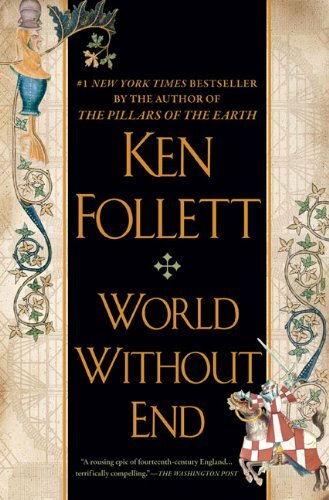 World Without End takes place in the same town of Kingsbridge, two centuries after the townspeople finished building the exquisite Gothic cathedral that was at the heart of The Pillars of the Earth. The cathedral and the priory are again at the center of a web of love and hate, greed and pride, ambition and revenge, but this sequel stands on its own. This time the men and women of an extraordinary cast of characters find themselves at a crossroad of new ideas--about medicine, commerce, architecture, and justice. In a world where proponents of the old ways fiercely battle those with progressive minds, the intrigue and tension quickly reach a boiling point against the devastating backdrop of the greatest natural disaster ever to strike the human race--the Black Death. Amazon.com: What a phenomenon The Pillars of the Earth has become. It was a bestseller when it was published in 1989, but it's only gained in popularity since then--it's the kind of book that people are incredibly passionate about. What has it been like to see it grow an audience like that? Follett: At first I was a little disappointed that Pillars sold not much better than my previous book. Now I think that was because it was a little different and people were not sure how to take it. As the years went by and it became more and more popular, I felt kind of vindicated. And I was very grateful to readers who spread the news by word of mouth. Amazon.com: Pillars was a departure for you from your very successful modern thrillers, and after writing it you returned to thrillers. Did you think you'd ever come back to the medieval period? What brought you to do so after 18 years? Follett: The main reason was the way people talk to me about Pillars. Some readers say, "It's the best book I've ever read." Others tell me they have read it two or three times. I got to the point where I really had to find out whether I could do that again. Amazon.com: In World Without End you return to Kingsbridge, the same town as the previous book, but two centuries later. What has changed in two hundred years? Follett: In the time of Prior Philip, the monastery was a powerful force for good in medieval society, fostering education and technological advance. Two hundred years later it has become a wealthy and conservative institution that tries to hold back change. This leads to some of the major conflicts in the story. 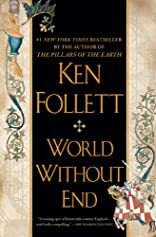 Amazon.com: World Without End features two strong-willed female characters, Caris and Gwenda. What room to maneuver did a medieval English town provide for a woman of ambition? Follett: Medieval people paid lip-service to the idea that women were inferior, but in practice women could be merchants, craftspeople, abbesses, and queens. There were restrictions, but strong women often found ways around them. Amazon.com: When you sit down to imagine yourself into the 14th century, what is the greatest leap of imagination you have to make from our time to theirs? Is there something we can learn from that age that has been lost in our own time? Follett: It's hard to imagine being so dirty. People bathed very rarely, and they must have smelled pretty bad. And what was kissing like in the time before toothpaste was invented?